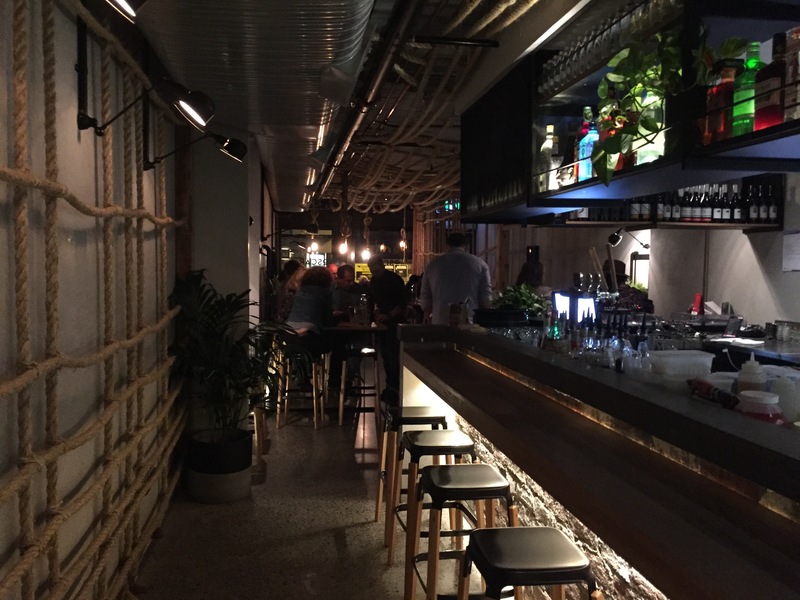 Little Oscar is Melbourne’s hottest new bar and restaurant. 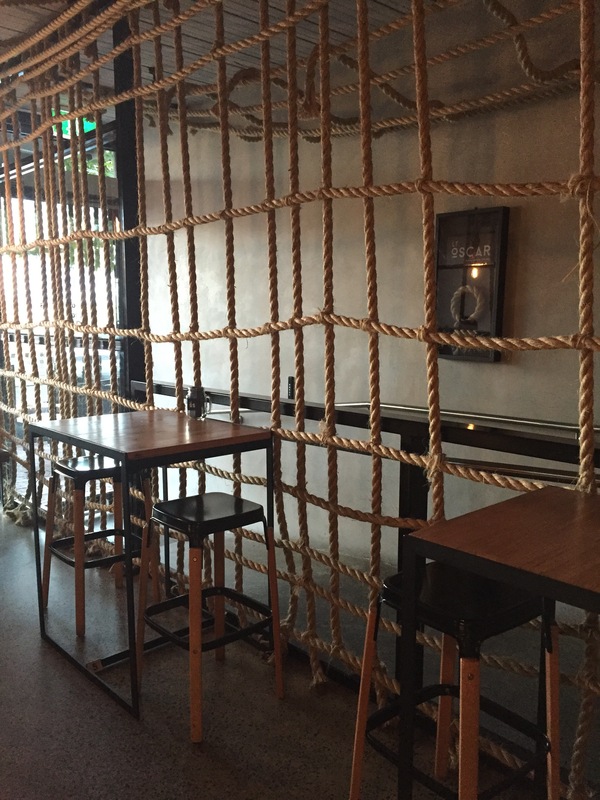 You’ll find them in Lygon street in Brunswick, serving up Korean/American fusion and cocktails with a twist. 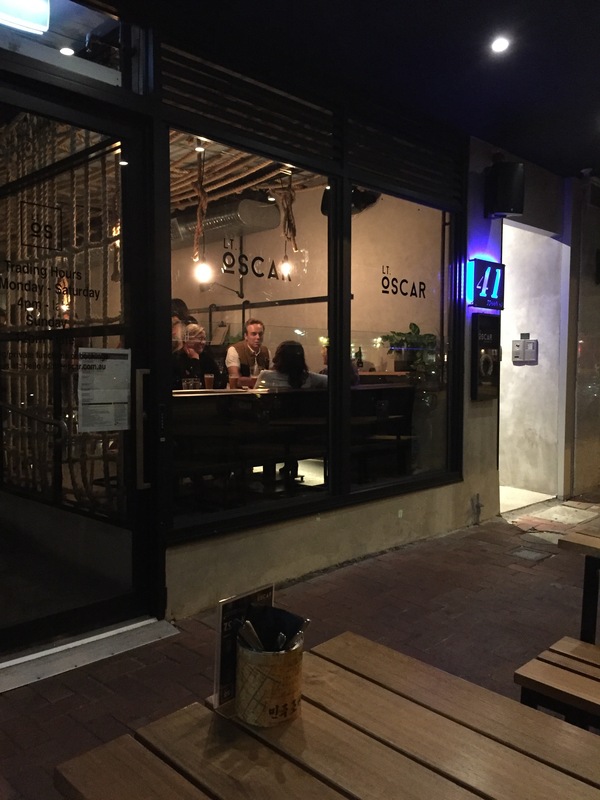 Little Oscar has a great feel about it, walking in there’s a surprising nautical vibe happening but the space is comfortable and relaxed. The menu is a little unusual, but always interesting. There’s a small selection of dishes but we would we would have happily ordered anything on there. Consider yourself warned though, your burger is actually two sliders. 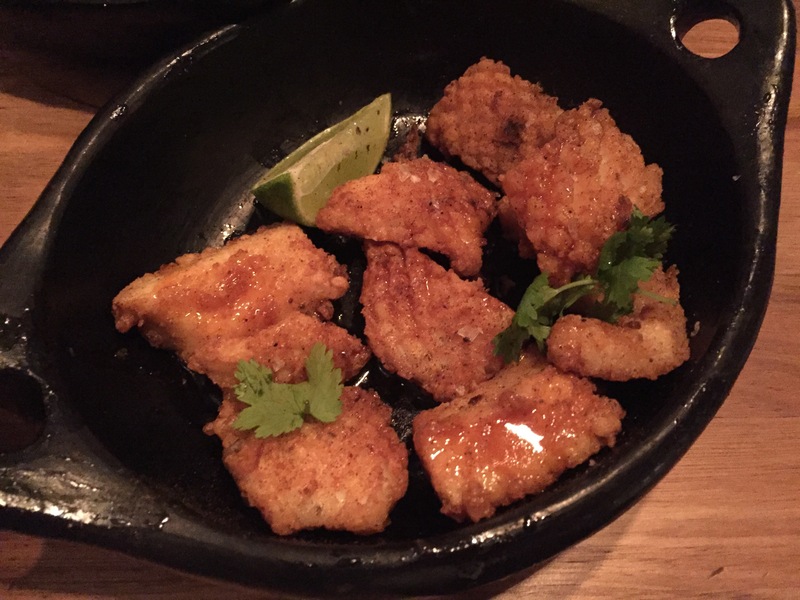 It can be a little confusing, but ultimately means everything on the menu is shareable across a table. We were very impressed by the staff. Both accommodating and friendly, they were attentive and polite throughout the meal. Like the restaurant itself they oozed the unshakeable ‘cool’ Little Oscars has in spades. The cocktails are amazing. Let me repeat that again. The cocktails are amazing. Beautiful, inspired, delicious, classic and modern choices – don’t leave without trying something! We started with a whole collection of things from the small bites to share. 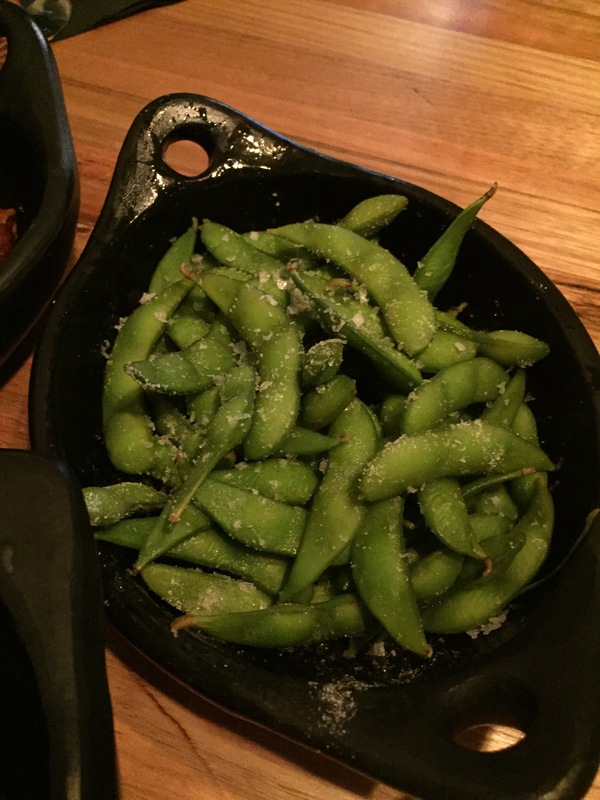 While we love edamame, it really wanted a bit of chilli salt to liven it up. The calamari however had the nice, lightly spicy saltiness we were craving. 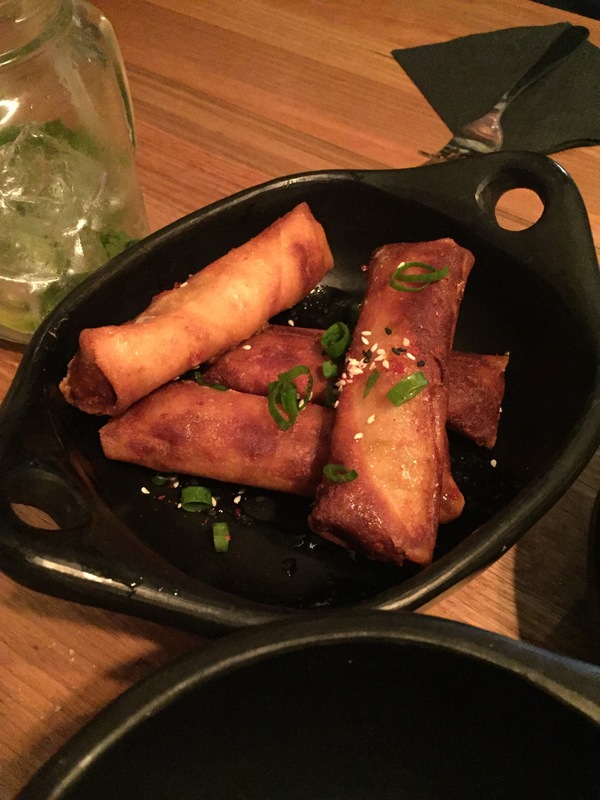 The spring rolls were the definite favourites though! There was so much flavour, they were crisp but light at and just the right shade of golden. It was spicy, sweet and intense and I could keep eating them forever. The Kim Jong Un loaded fries were something else again. 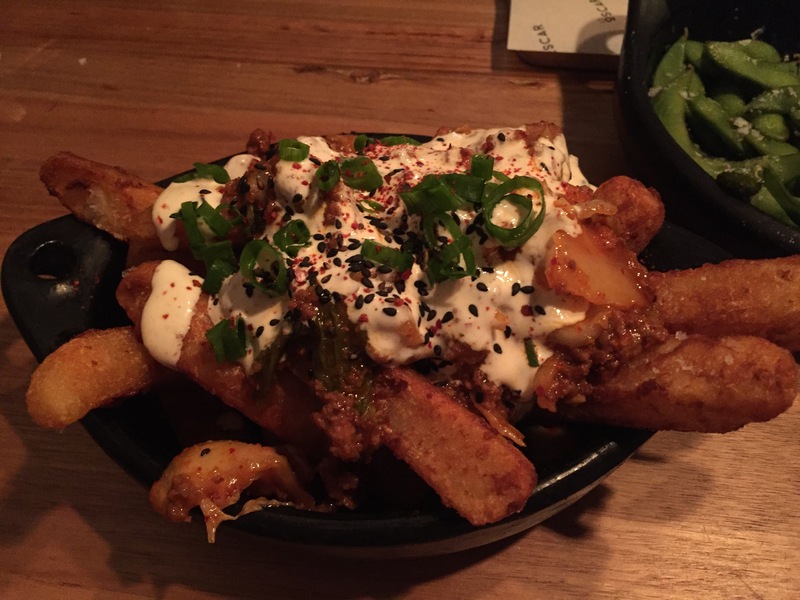 A new kind of poutine (that’s the Canadian loaded fries with curd and gravy) this Korean reimagining brought together kimchi, chilli, sour cream and fries in a heavenly medley. The thick cut fries were perfect, hot and soft in the centre, and crispy and light on the outside. Kimchi, a magical fermented cabbage (it’s magical because somehow it’s delicious with everything) is just perfect, it has a bite to it that’s perfect with the fries. If you want an easy and delicious way to try kimchi for the first time, Little Oscar’s Kim Jong Un fries are perfect! After the flurry of small dishes it was onto the ‘burger’, the Gangnam style. 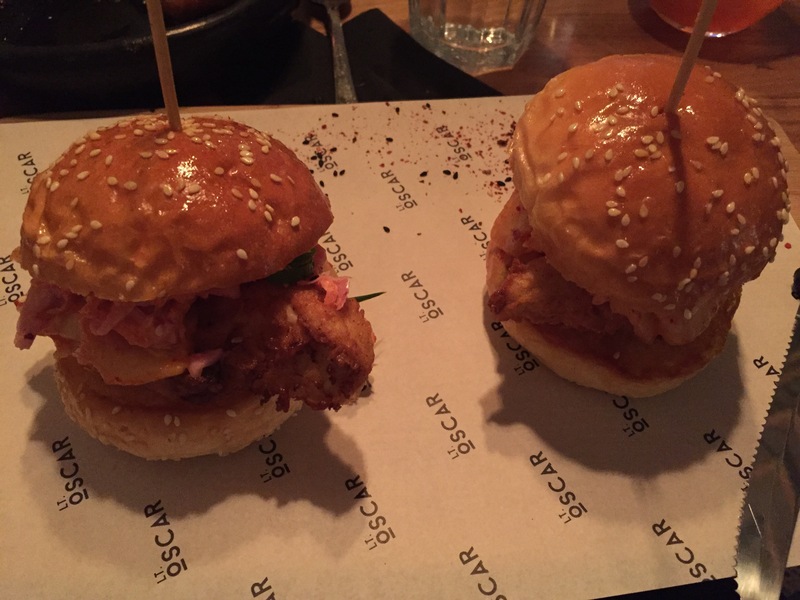 As you’d expect these sliders were full of crispy and juicy Korean fried chicken, as well as more kimchi, a light Asian slaw and roasted sesame seeds. Like the fries it’s the kimchi that makes this dish, the bite and the tang, followed by that hit of chilli is just divine. 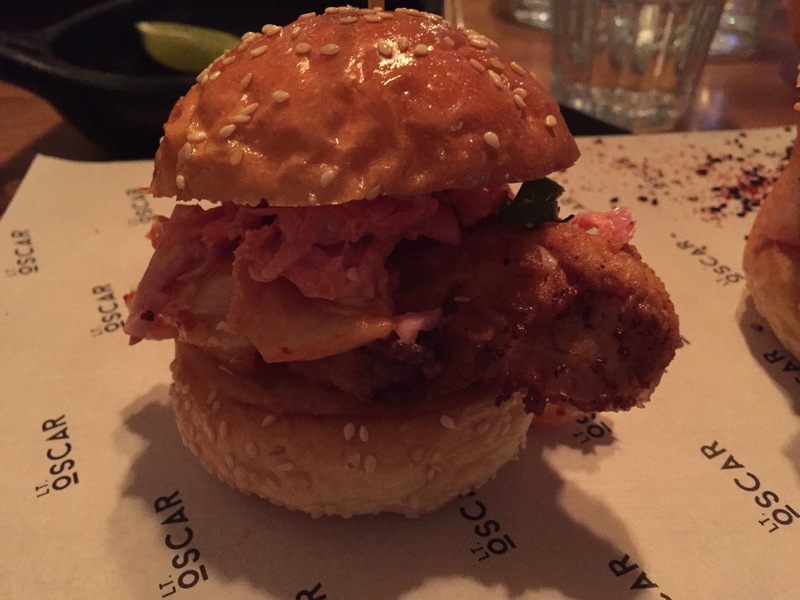 You’ll find an American-Korean feast, and some killer cocktails at Little Oscar! 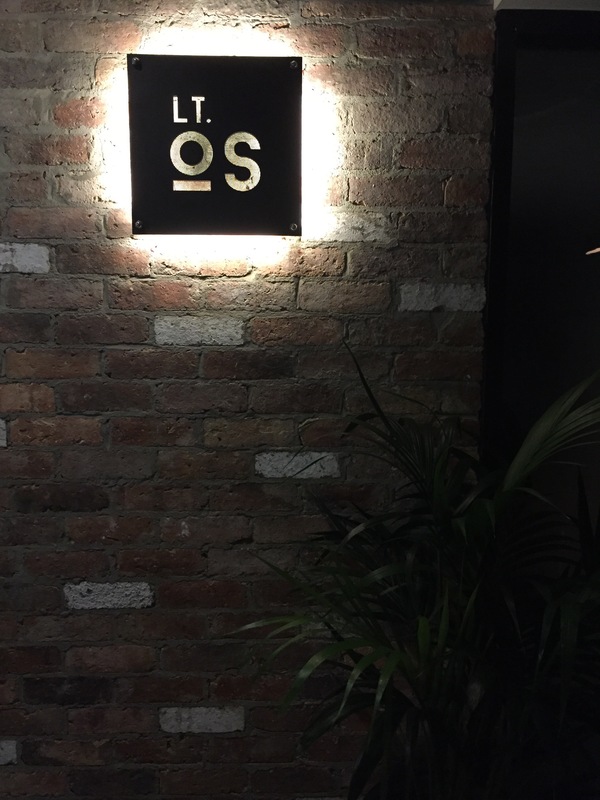 They’re a must visit for lovers of the cuisine and the newest and best eats in Brunswick! Love this place. Every time I go there it’s consistently good food and amazing service! 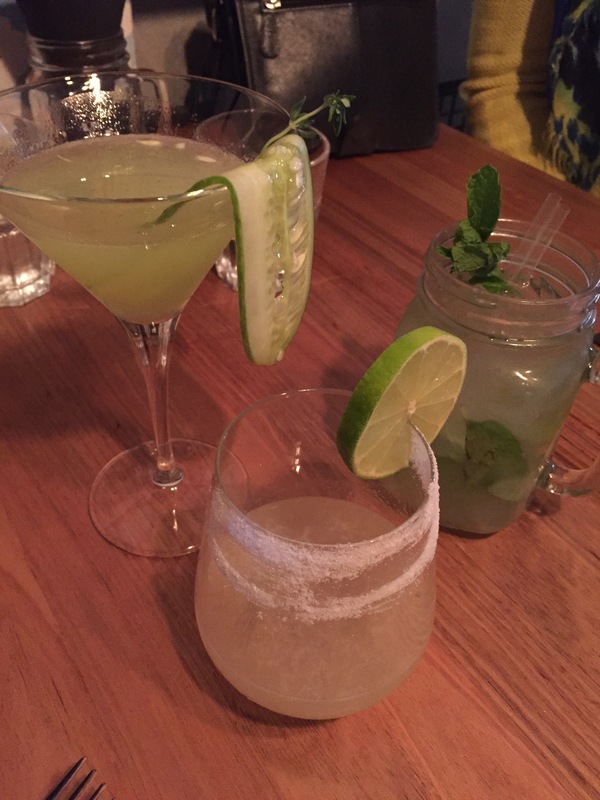 Love the vibe of the venue too- perfect for a weeknight date or a weekend dinner with friends.